George Smeaton’s magnificent studies of the New Testament’s teaching on the work of Christ, Christ’s Doctrine of the Atonement and The Apostles’ Doctrine of the Atonement [are] two books which I am convinced ought to be in the possession of every minister of the gospel, preacher, teacher and student for the ministry. George Smeaton was one of the great luminaries in the theological galaxy which graced New College, Edinburgh, in the second half of the nineteenth century. His colleague James MacGregor said that he possessed ‘the best constituted theological intellect in Christendom’. His invaluable study of our Lord’s teaching on the significance of his death gives substance to that claim. 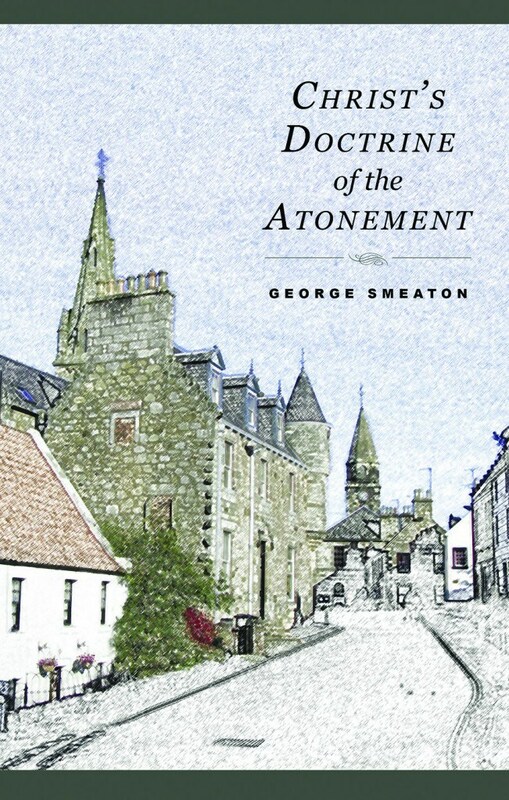 In it we find Smeaton’s sensitive theological acumen, his skill in judicious exposition, and his evident devotion to the person of Jesus Christ – all combined in a masterly survey of the Gospel texts which illumine the doctrine of the atonement. Christ’s Doctrine of the Atonement, like its companion volume on the Apostles’ doctrine, is a work to be read and re-read. Those who possess it will often find themselves instinctively turning to consult Smeaton for insight on passages where other works have failed them. THE SOURCES OF OUR KNOWLEDGE IN THE RECORDED SAYINGS OF JESUS, AND THE MODE OF INVESTIGATION. THE POSTULATERS OR PRESUPPOSITIONS OF THE DOCTRINE OF ATONEMENT. THE CONSTITUENT ELEMENTS OF THE ATONEMENT. THE EFFECTS OF CHRIST’S DEATH. THE RELATION OF THE ATONEMENT TO OTHER INTERESTS IN THE UNIVERSE. THE ACTUAL EFFICACY OF THE ATONEMENT; OR THE QUESTION FOR WHOM IT WAS SPECIALLY OFFERED. THE APPLICATION OF THE ATONEMENT. THE ENDLESS HAPPINESS OR WOE OF MANKIND DECIDED BY ITS RECEPTION OR REJECTION.